The Evo 9 GT - for me *the* Evo 9 to own. It has all the comforts of the GSR model but instead of the S-AYC rear diff, you get the rally car LSD diff. The six speed gearbox is also dropped in favour of the stronger five speed. 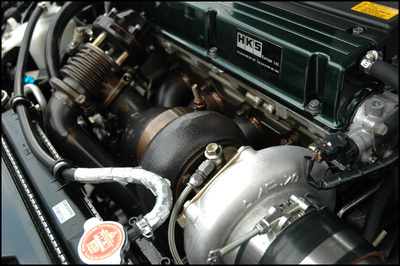 The car was forged from new, initially a 2lt with GT35R turbo unit, but later it morphed into a 2.4lt unit with fire breathing PT67 turbo with a full on upside down exhaust manifold. With all the correct supporting mods the car produced 620bhp and was a weapon indeed - it was capable of even more bhp, but i kept it as was in the name of reliability and life span of components.